Send a proud grad a “Way to go!” for their biggest achievement yet. 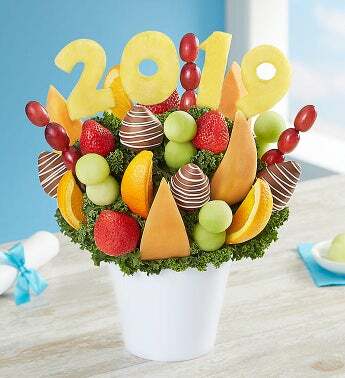 Our showstopper fruit arrangement features number-shaped pineapples that read “2-0-1-9” front and center, surrounded by juicy, plain & dipped strawberries, melon wedges and more. For a momentous celebration, it’s definitely the way to go. Pump up the pride by adding a festive congratulatory balloon!